Key Difference: Facebook Pages were primarily made for corporate companies, products and brands. Groups are a platform where people can come together and create a small community in which they can share ideas, create a platform, collaborate, discuss specific topics, etc. Social media has resulted in making the world a smaller place. People are no longer bound by geographical restrictions. A lot of companies and organizations are now taking the online world by storm in order to make themselves known. In order to survive in the cut-throat competition of today’s market, companies and organizations alike now have to maintain an online presence. 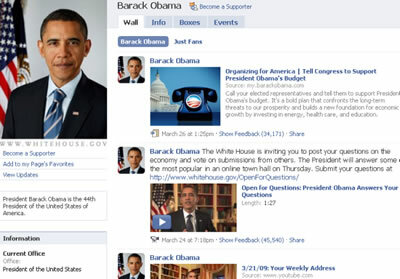 Facebook Pages, or informally known as Pages, were primarily made for corporate companies, products and brands. The primary purpose of these pages is to market products and build a brand name. Facebook offers pages for business persons, celebrities, authors, and any size business or organization. It also comes with an Insight option, which allows the admin to see the page’s statistics such as who the audience are, what they like, what are they responding to, etc. Pages also provide opportunity for targeted advertising by interests, age, and geographic areas (by using Promote Page). Pages come with neat little applications that allow users to feature videos, get email sign-ups, show their Website, other social media feeds, etc. Facebook Groups are different from pages as they target a whole different segment. Groups are a platform where people can come together and create a small community in which they can share ideas, create a platform, collaborate, discuss specific topics, etc. These are mostly for the people who wish to create a small community of people that share similar ideas and interest. Groups can target one segment, such as favorite TV show, Football club, Cricket Team, etc. It can also include community groups such as churches, support groups, etc. The benefit of using a group is sharing messages, where one person can send a message to all the people in the group simultaneously. There are a few major differences between pages and groups. If a person messages on the page, the post would not be sent as a notification to the rest of the members. However, if a person posts a message on the group, it will send a notification to all the members of that group. Groups also offer a privacy benefit, which pages lacks. Pages are visible to everyone by default and this setting can not be changed. So, everyone can see the page and even like the page. 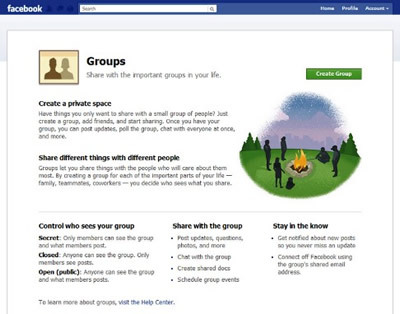 In groups, privacy settings can be altered depending on the admin. Groups can be made private or public, which means it can either be open to everyone or just a few people. Even if the group is public, membership still requires having the admin approve the membership. Another difference lies in member visibility, where members who are a part of a group are visible to all the members in that group. Members of the group can even message each other or view each other’s profiles. Pages offer a bit of privacy when it comes to this; people who like the pages are not visible to the other people who are viewing the page, unless it is a friend. Lastly, Groups allows the option of adding people to the group, while pages cannot be sent to specific people. Organizations, events, brands, public figures, business, etc. Groups, members of an organization, families, fans of a show or band, etc.